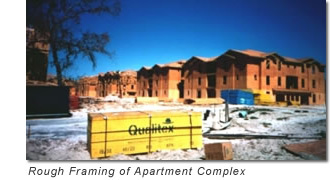 Ridgway Truss specializes in multi-family and commercial projects. We believe there are no limitations on size or timeframe for completing your project. Whether the project is two units or 2,000 units, Ridgway Truss can help you deliver a profitable and on-time project.